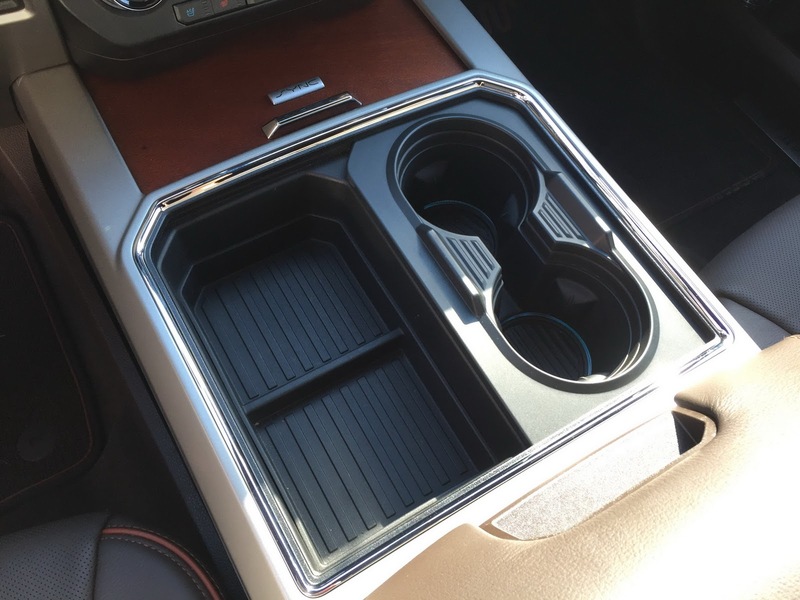 Ford has come up with a dual-cupholder design that allows their Super Duty customers to have plenty of “fuel” for themselves when they’re in the truck. 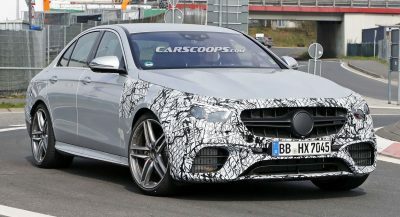 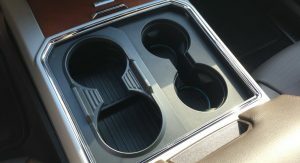 The American automaker has patented this design, which features two major components – a combination cupholder and storage bin with an upper panel that can transform said storage bin into two additional cupholders with a simple left to right slide motion. 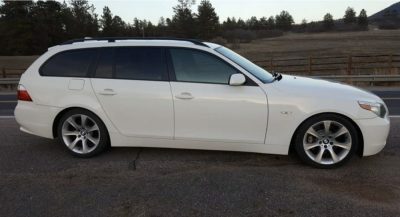 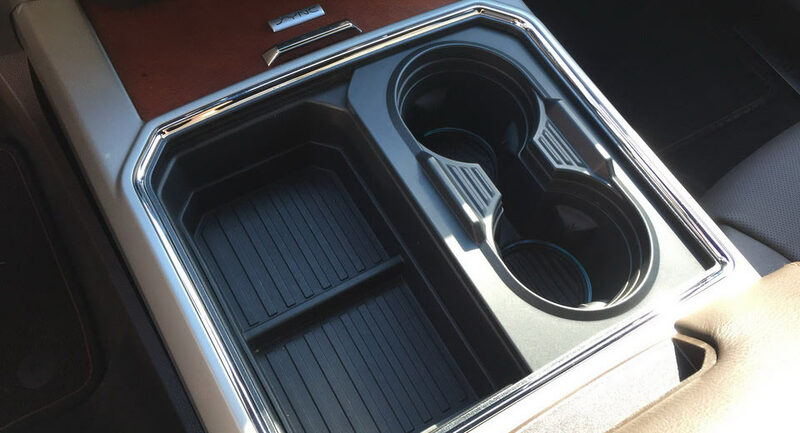 If the driver or passenger need even more open storage space, they can simply slide the panel back, making room for bulkier items that would otherwise not fit in a cupholder space. 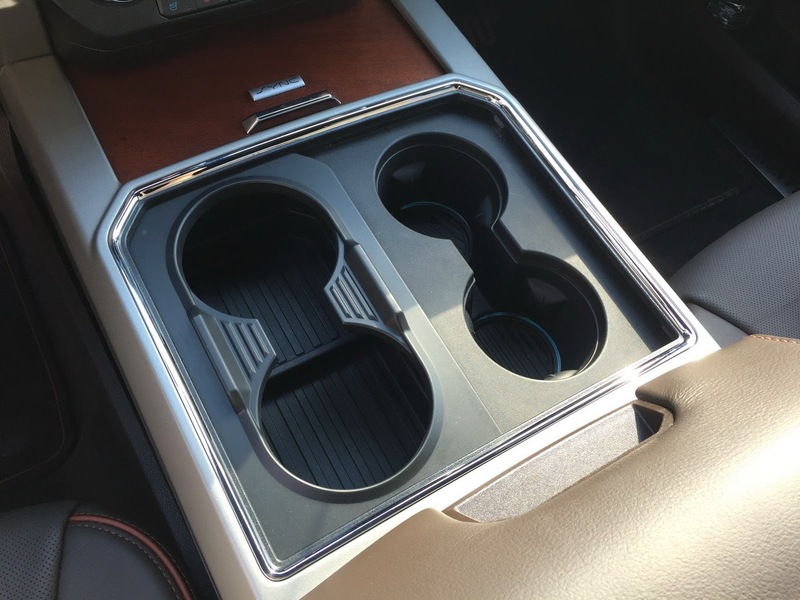 Believe it or not, this new four-barrel assembly means that you get a total number of 10 cupholders in the all-new 2017 Ford Super Duty – intended primarily as a work truck for crews of four or more. 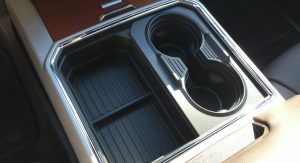 Ford’s all new Super Duty with its transformable cupholder assembly is set to arrive this fall.